In addition to on-the-spot testing, we’ve got a new way of displaying errors which better exposes what types of issues a Sitemap contains. Instead of repeating the same kind of error many times for one Sitemap, errors and warnings are now grouped, and a few examples are given. Likewise, for Sitemap index files, we’ve aggregated errors and warnings from the child Sitemaps that the Sitemap index encloses. No longer will you need to click through each child Sitemap one by one. Finally, we’ve changed the way the “Delete” button works. Now, it removes the Sitemap from Webmaster Tools, both from your account and the accounts of the other owners of the site. 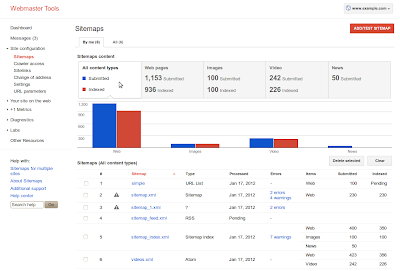 Be aware that a Sitemap may still be read or processed by Google even if you delete it from Webmaster Tools. For example if you reference a Sitemap in your robots.txt file search engines may still attempt to process the Sitemap. To truly prevent a Sitemap from being processed, remove the file from your server or block it via robots.txt. 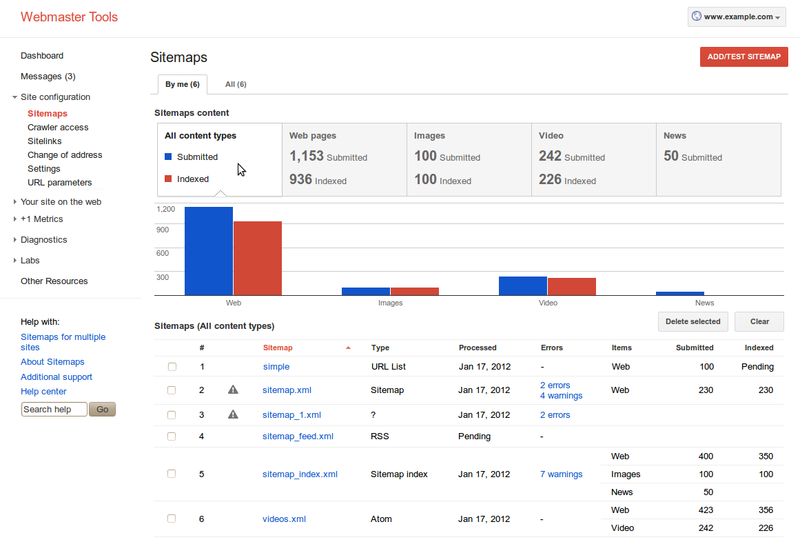 For more information on Sitemaps in Webmaster Tools and how Sitemaps work, visit our Help Center. If you have any questions, go to Webmaster Help Forum.